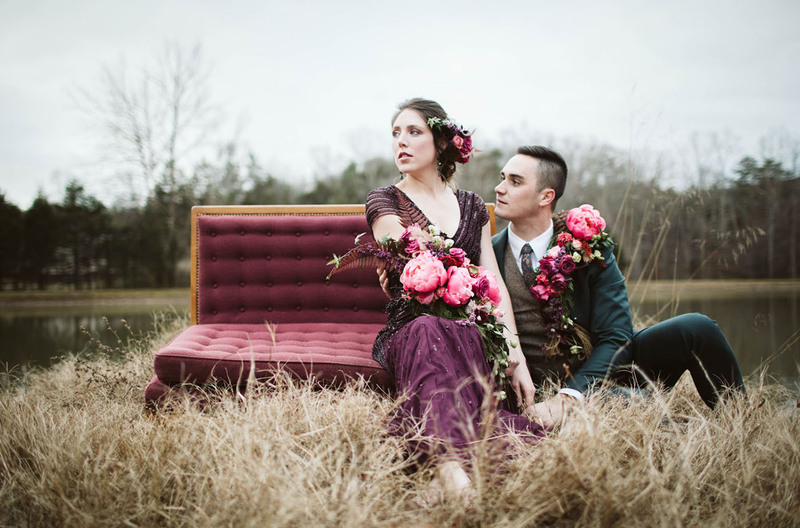 From Flower Shrugs to Blooming Bracelets—You’ve Got to See These Moody Maroon Floral Designs! 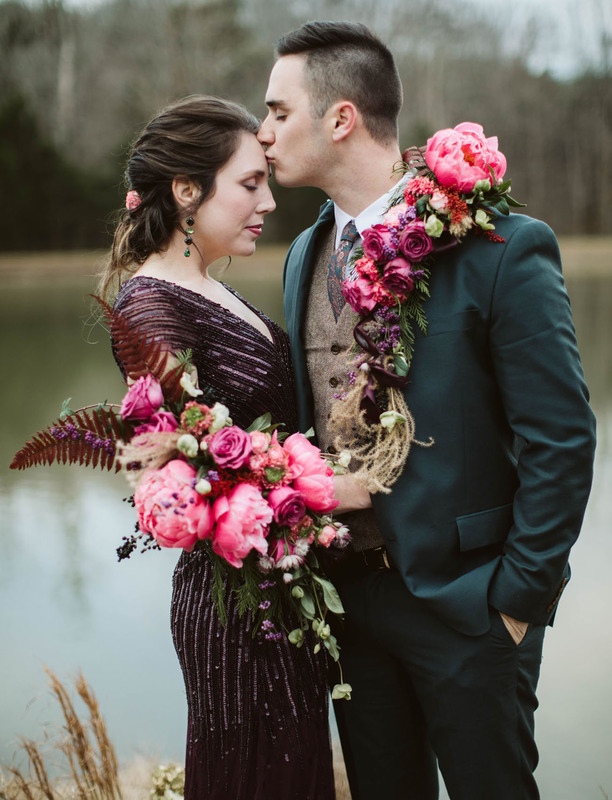 We know just how much GWS couples like to get creative and incorporate unique stylings into their wedding (or any other event they’re planning!). 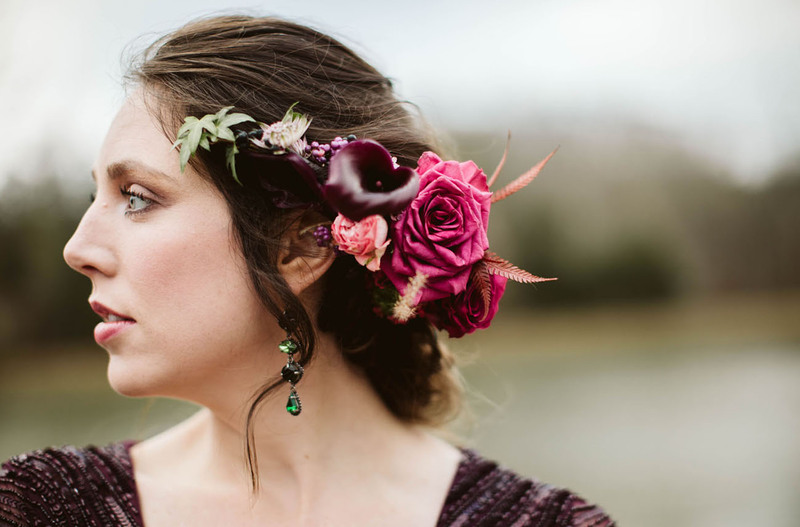 So, when we saw these wild floral designs that turn conventional bouquets on their head—we KNEW we had to share! 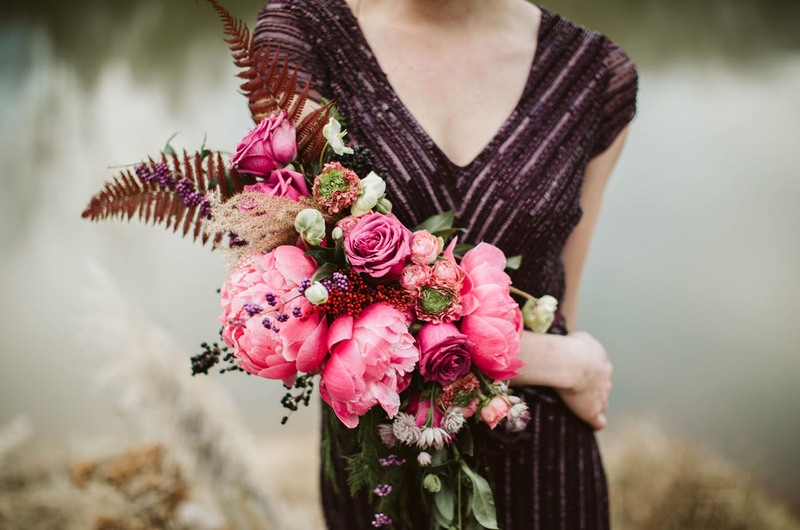 They’re unconventional, yet play off of the traditional, and they allow lots of freedom + movement…plus, you can really never go wrong with tons and tons of florals, right? 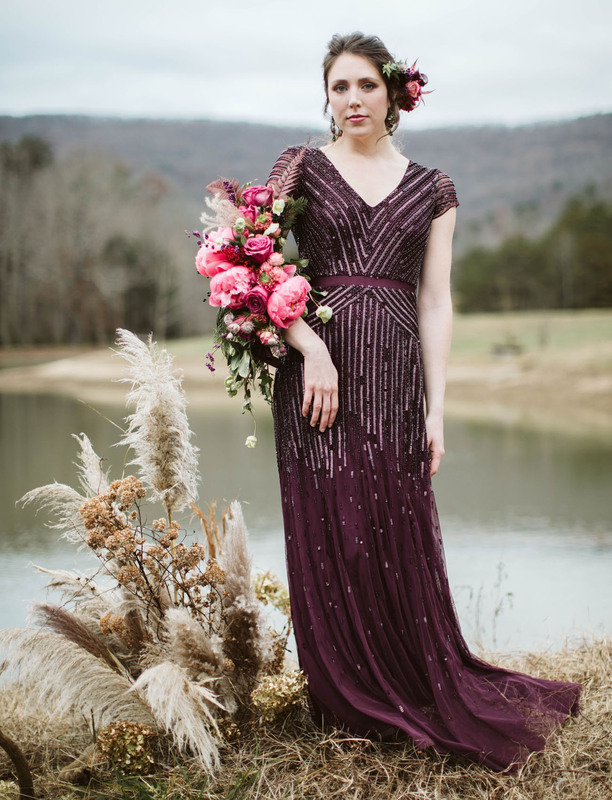 Ready to see all the fantastic designs captured at The Homestead in Chattanooga, Tennessee? Let’s peek! 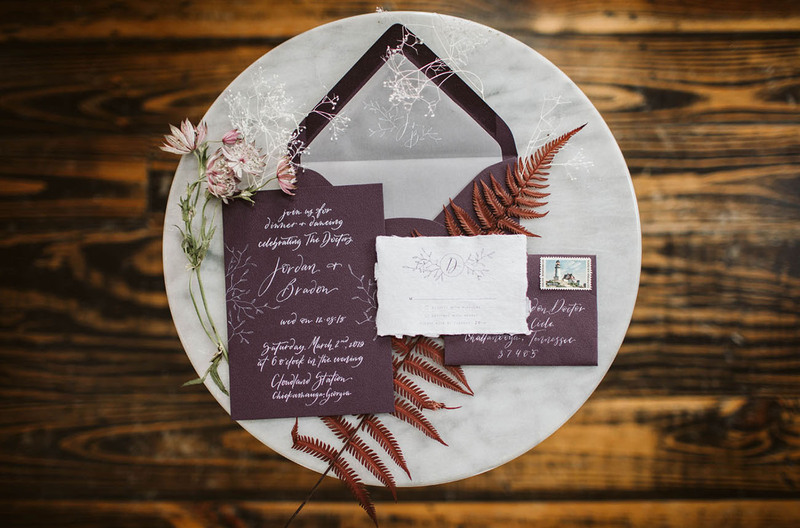 Isn’t this invitation suite by Laura Lines Calligraphy, well, sweet? 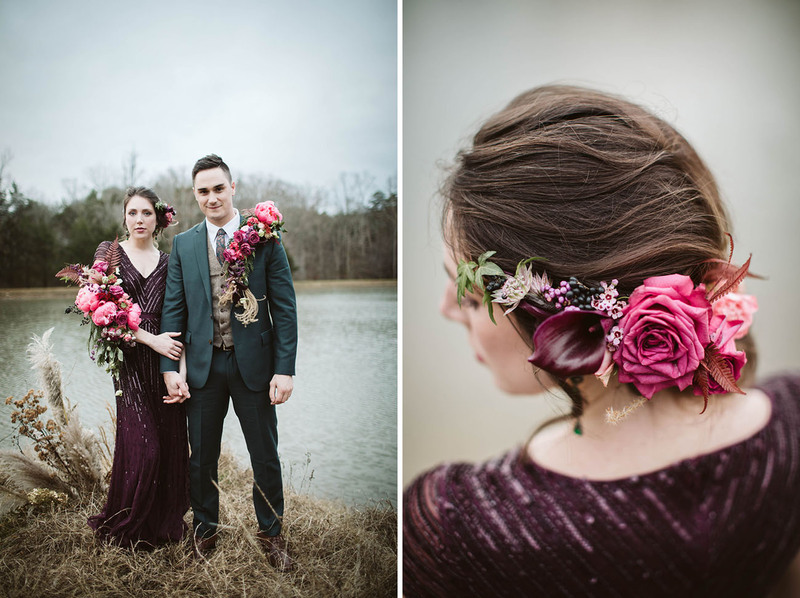 We adore the touch of floral illustrations and that deep maroon hue. Emily Kaye Designs crafted this floral arm band/bracelet, which allowed the bride freedom to move in ways that would not have been feasible while holding a traditional bouquet. 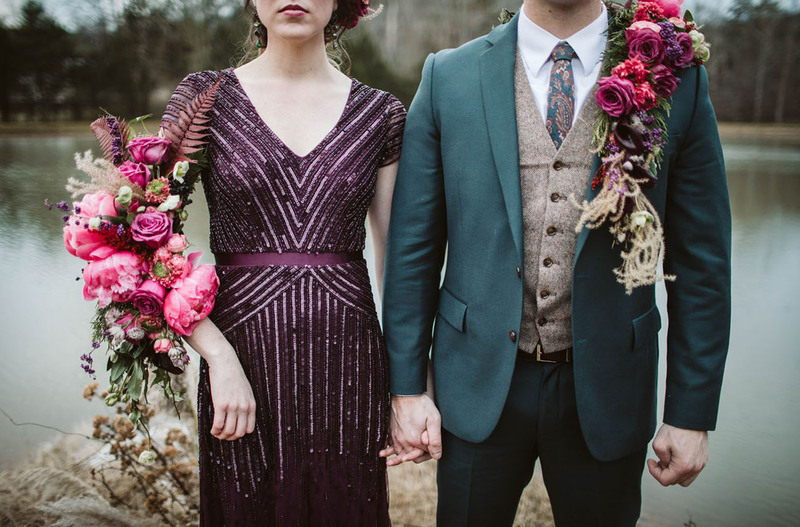 How gorgeous are those vibrant hues paired with the moody maroons? 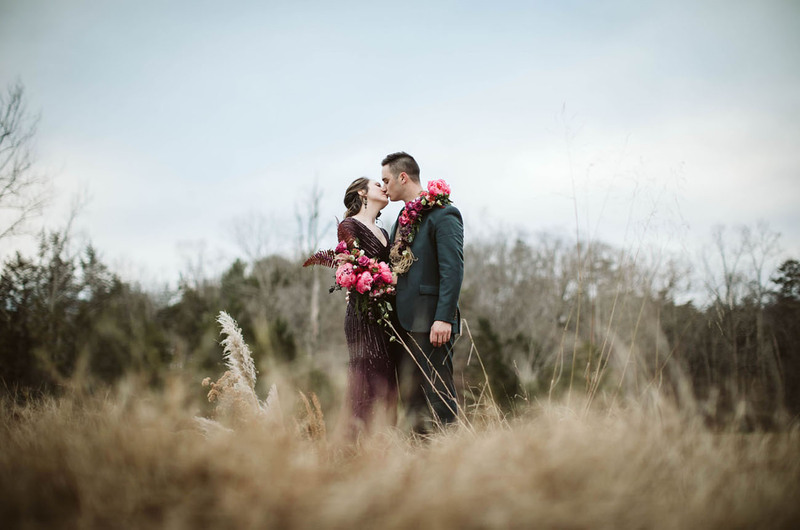 With the florist’s vision and my help with styling, we gathered a few local creatives to produce a styled shoot that steered away from the trends and the normal, creating a fresh and unexpected look at bride and groom fashion. 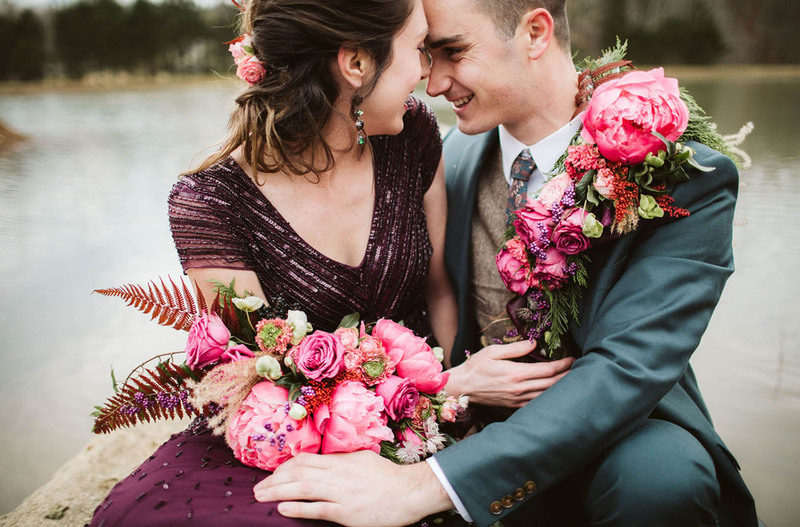 The color palette included Pantone’s 2019 color of the year, Living Coral, in the form of the Coral Charm Peony which was used for both the bride and the groom. 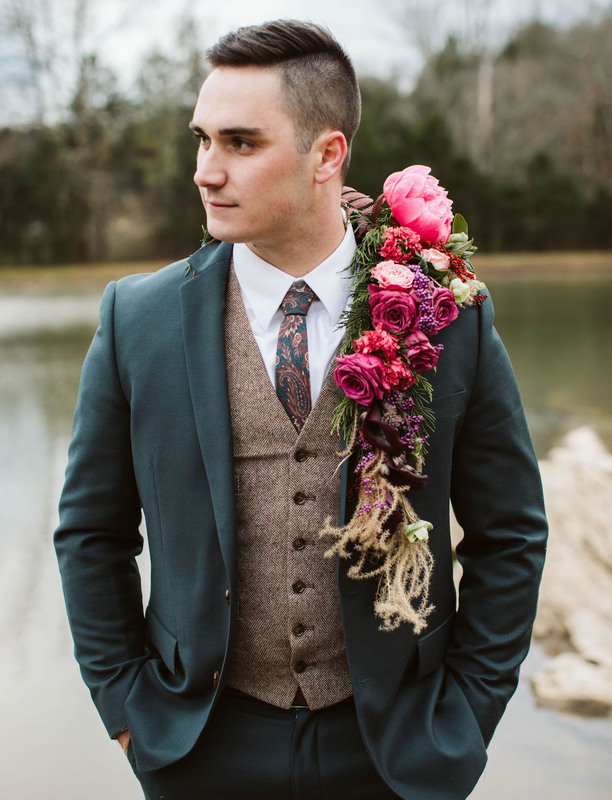 The idea for the floral shrug was, “How could we restyle a simple boutonnière?” Thus, this living lapel that organically flowed along the groom’s shoulder and around his collar was born! 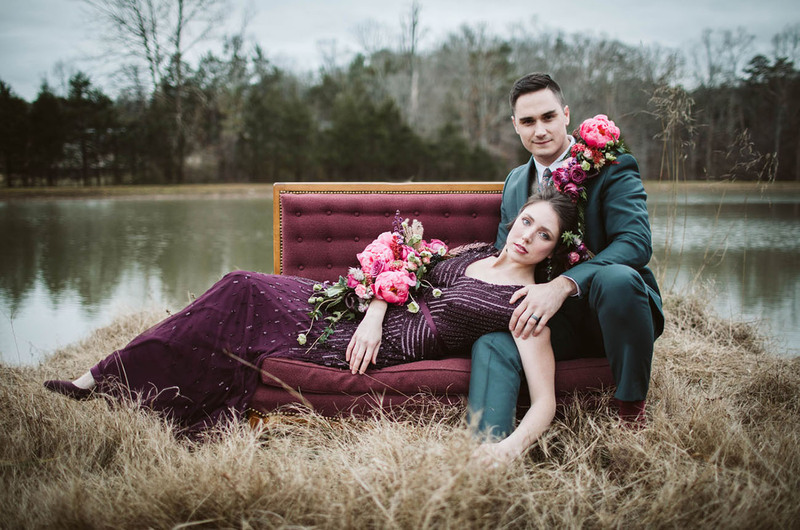 Rather than using a white dress and black suit to anchor the designs, the team chose a deep maroon gown from Modcloth, and a J.Crew suit with a whisper of green. And, of course, they had to include a sprinkling of florals in the gorgeous updo by Genia Church. 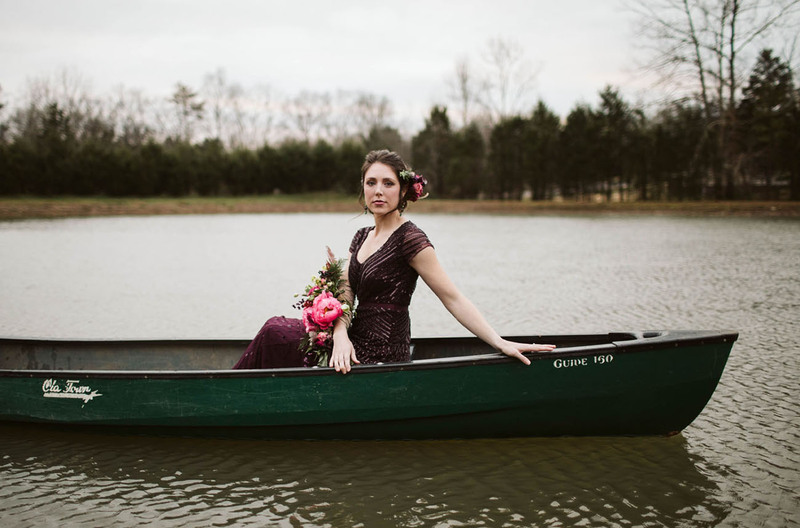 Isn’t the lip color Angela Folmar chose the perfect way to complement that magenta hue? Who else thinks these designs are the absolute coolest?! Craving more floral creativity? Head on over to this DIY tutorial on how to make a floral hoop in lieu of a traditional bouquet! LOVE this concept! I hope to see more of it in the future! From Bridal Hats to Pampas Grass to Starry Designs — This Joshua Tree Wedding Has It All!